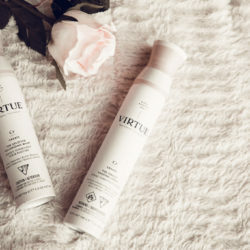 Finding the best dry shampoo for your hair is tough! How many of you out there use dry shampoo? (We know it’s not polite to assume, but something tells us many of you raised your hands.) Ok, now how many dry shampoos did you try before you found the one? Actually, let’s take a step back…have you even found the one yet?! 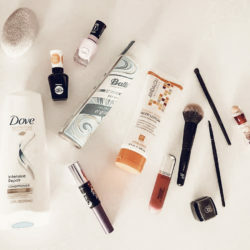 Confession: I’ve had four failed relationships with dry shampoo brands. Sam has had SEVEN failed relationships with dry shampoo brands. We had better luck finding our actual boyfriends than a friggin’ dry shampoo! Long story short, we’re struggling hard over here, ladies. Residue, price, effectiveness, chemical content…there are many things to consider when it comes to finding the one. And perfection is hard to come by! 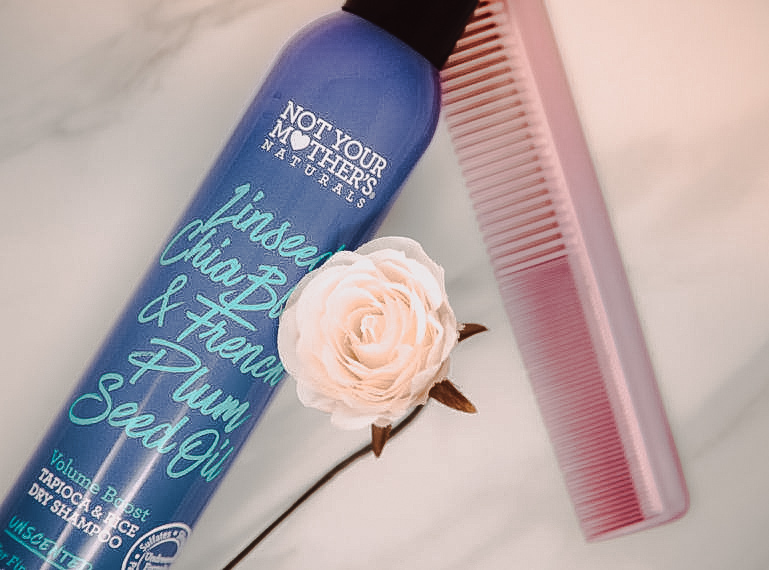 Is Not Your Mother’s Naturals Dry Shampoo the One? 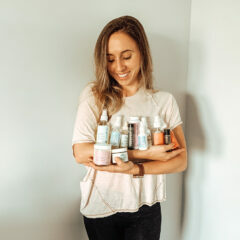 Sam was wandering through her local Walgreens about a month ago looking for new goodies to try for the blog (she’s become our product finding QUEEN!) and stumbled upon the NYM Naturals line. 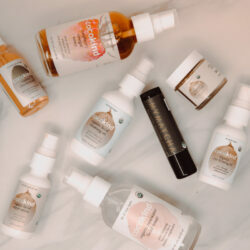 Their new plant-derived, chemical-free formulas piqued her interest. When she saw that their dry shampoo was only $9, she was sold. I mean, c’mon! Who wouldn’t be? Let’s talk experiments now. Did this dry shampoo actually clean our hair? Or was the $9 price tag too good to be true? We’ve got your answers below! The answer: Find a DAMN GOOD dry shampoo. Remember when I refused to wash my hair every other day? Well, I’m happy to report that I am no longer refusing. A couple of months ago, I noticed that my hair was thinning out and my scalp was becoming more and more itchy, so I knew I had to make a change. It took me a while to make the switch though! The thought of oily, smelly hair was a little too gross for me to handle. That’s why I was in desperate need of a good dry shampoo to help me transition into an every-other-day-washer. After many failed attempts with other dry shampoo brands, I decided to give Not Your Mother’s Naturals Dry Shampoo a go. I’ll try anything for $9…okay, maybe not anything. As soon as Sam sent me a picture of her hair after her first NYM’s experiment, I was sold. It looked clean and full of life! Not to mention, the volume was very REAL. So I ran over to Walgreens, grabbed myself a bottle and took it with me to Chicago for my first test. I was only a few days into my every-other-day-washing switch, so my hair was pretty oily on day two. Luckily, this dry shampoo was ready to make some magic. Sprayed a little extra around the hairline near my ears and neck (the oiliest parts of my hair) and was DONE. My hair looked fresh, healthy and there was no oil left in sight. The product has no fragrance, but it does seem to absorb any day-two smells from your hair. I do have to say this product leaves your hair a little gritty. It’s obviously not as soft as freshly washed hair, but the grittiness is not to the point to where you have residue all over your hands if you (or bae) run your fingers through your hair. All in all, this dry shampoo is a winner in my book. It’s affordable, it’s made from clean ingredients…and most importantly, IT WORKS! Sam also has a little trick that makes styling day-two-hair SO much easier! 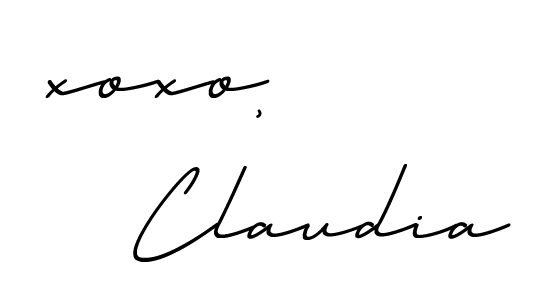 Claudia’s right. I’ve had seven failed dry shampoo relationships with Moroccan Oil, Living Proof, Klorane, Not Your Mother’s (non-natural version), Acure, Dry Bar, and OUAI. While some factors may have been perfect in each one…as a whole, they failed. Some are free of any and all chemicals. I was just walking through Walgreens and BAM! Life changed. Just like that. Well, my life really changed when I got home and tried Not Your Mother’s Naturals Dry Shampoo for the first time, but let’s pretend the life-changing moment happened in Walgreens for dramatic effect. This is the first and only brand to check off all my dry shampoo boxes. Free of most harmful chemicals…CHECK! Healthy on my budget…CHECK! Absorbs dirt, oil, and sweat….CHECK! Add some volume to my sad hair…CHECK! Doesn’t make my hair feel heavy and super gritty…CHECK!!! Can you sense my excitement? This is true love, people. Less is definitely more! Don’t over do it. You can always add more dry shampoo, but you can’t get rid of that unnecessary grit and chalkiness without ruining your hairstyle or just washing your hair all together. If you’re brunette and you decide to buy a tinted dry shampoo…BEWARE! Every single one that I’ve tried has left brown powder everywhere! Don’t even think about tousling your hair throughout the day…your hands will end up tinted brown! Simply, not cute. Overall, you’re better off referring to tip #1 and sticking to the non-tinted powder. 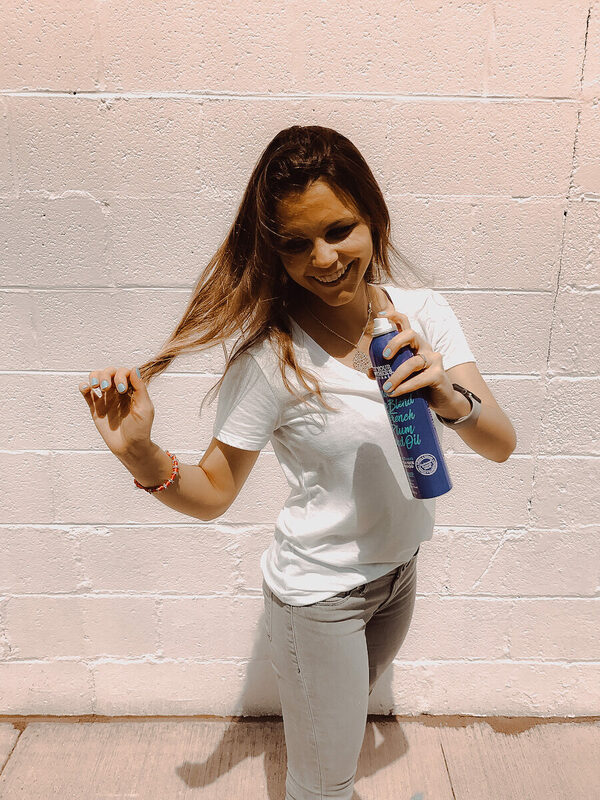 If you wash your hair every other day like me and my twin, try spraying some dry shampoo throughout your roots before you go to sleep the night you skip a wash. As you produce oil throughout the night, your dry shampoo will absorb it before it’s too late to fix! Not only that, but you spend less time dry shampooing in the morning! When day-two-hair looks just as good as day-one-hair…that’s when you know you’ve got the one. NYM we love you!